New Yorker cartoonist and author Roz Chast will bring an afternoon of comic relief to the SilverSource Inspiring Lives Benefit Luncheon on Wednesday, Nov. 7, as she offers profoundly funny and moving insights from her award-winning graphic memoir, Can’t We Talk About Something More Pleasant? With characteristic wit, Chast will discuss caring for aging parents, sharing her uniquely humorous yet poignant perspective on the sometimes absurd, sometimes exasperating journey through their final years. The event takes place from 11 a.m. to 2 p.m. at Serafina at the IC (Italian Center),1620 Newfield Ave., Stamford, CT 06905. Tickets ($150), sponsorships and ads are on sale now, with proceeds supporting SilverSource’s work to improve the quality of life of older adults and provide financial support for those in need. 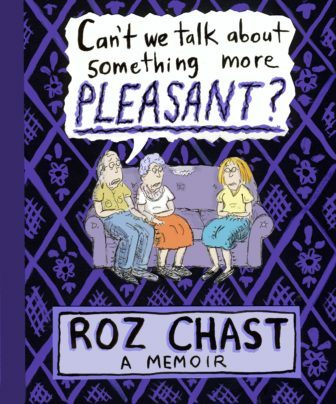 Each attendee will receive a complimentary, signed copy of Roz Chast’s book. Visit the SilverSource website for details and to purchase tickets, sponsorships and marketing opportunities. Gene Rubino, founder of Plaza Realty & Management Corporation, is serving as honorary chair for the event alongside co-chairs, Adele Gordon and Polly Rauh. Winners of the 2018 SilverSource Awards — the Lifetime Learners Institute (at NCC), the Senior Men’s Association of Stamford and Donald J. Case DMD — will be honored for their contributions to bettering the lives of Fairfield County’s older residents. SilverSource would like to thank its sponsors including Cacace Tusch Santagata Attorneys at Law, KAF Manufacturing Co., Plaza Realty & Management Corporation, First County Bank, Mezzapelle & Associates, FD Rich Company, and media sponsor Stamford Magazine/Moffly Media. SilverSource, founded in 1908, provides a safety net for older adults through individual assistance, case management, guidance and other direct services to improve the safety, health and quality of life for older residents of lower Fairfield County. In addition, SilverSource is an information resource center and referral source for older adults and their families. SilverSource, Inc., a 501(c)3 non-profit organization, is located at 2009 Summer Street in Stamford, CT 06905. For more information visit www.silversource.org or call 203.324.6584. Dentist Donald J. Case will receive a 2018 SilverSource Contribution to Community Award for his work in providing dental services for low-income seniors. 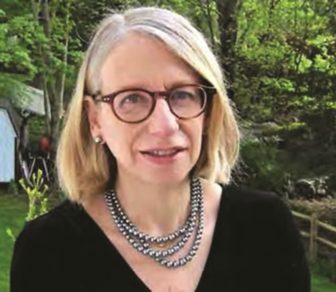 The award will be presented at the 4th Annual SilverSource Inspiring Lives Benefit Luncheon featuring New Yorker cartoonist and author Roz Chast on Nov.